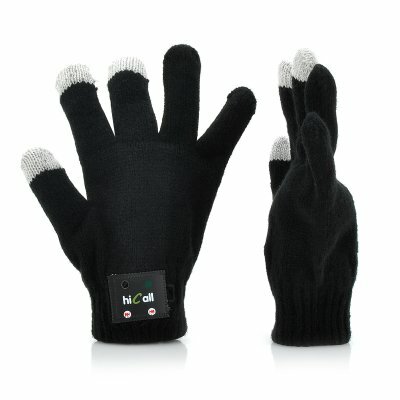 Successfully Added Hi-Call Talking Magic Gloves For Men - Bluetooth Pairing, Built-in Speaker + Microphone to your Shopping Cart. Talking Magic Gloves that have been designed specifically for use by Men has Bluetooth Pairing capabilities in addition to having a built-in Speaker and Microphone for a clever and convenient way to engage in phone calls. With the cold winter approaching quickly, touch screen phone owners are faced with a quandary of how to use their devices without freezing. The Hi-Call gloves are the solution for these coming cold days as they pair to your phone and allow you to answer, talk and hang up without the need to find your phone in your pocket. The Hi-Call has been designed where a mini microphone is installed at the end of the little finger and a mini receiver was setup at the thumb end, while all the controls and the charging port are located in the cuff of the glove for practicality. 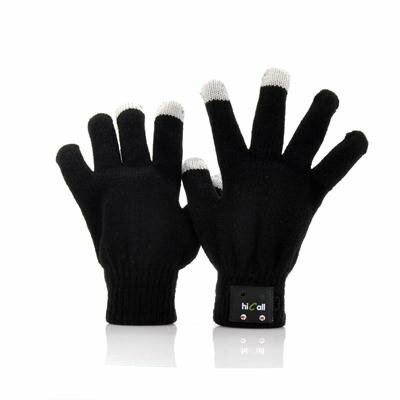 The benefit of these gloves are endless as your hands stay warm, you can engage in phone conversations plus you can handle your phone and use it while wearing these gloves, plus they don’t restrict you with movement. Using Bluetooth version 3.0 and EDR, you can easily pair your mobile to the Hi-Call gloves and start exploiting the convenience of not having to look inside your pocket or bag for your phone. As long as you are within a 12 meter distance from your device when wearing these headset speaker gloves, you are guaranteed not to miss a call because you can instantly answer it. These Hi-Call gloves have an 110mAh rechargeable lithium battery built-in, which has a continuous talk time of up to 10 hours and when that needs power it can easily be recharged using the included cable. A pair of warm glove that are perfect for every sport including skiing and running, plus with the Hi-Call you can control the touch screen of your smartphone due to the capacitive technology. This product is in stock and can be dispatched within one working day of ordering with a 12 month warranty. Brought to you by the leaders in wholesale electronics and cool gadgets, Chinavasion. .
- Stitching could be a bit better finished, but otherwise nothing to complain.